The nine-story modular development will have 55 studios ranging from 260 to 360 square feet, 22 of which will be affordable (of these, 8 will be set aside for formerly homeless veterans) and go for between $950 and $1,500 a month depending on family size and income. 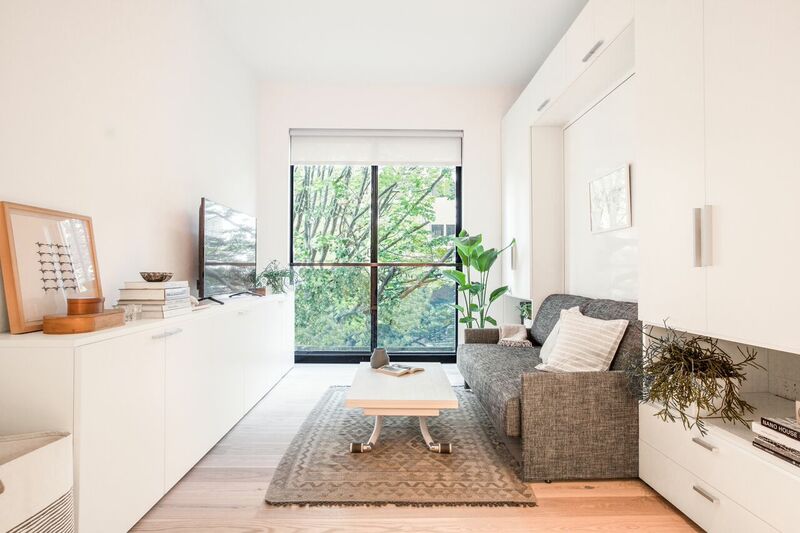 The remaining 33 will see prices ranging from $2,540 for a 265-square-foot, furnished, third-floor unit to $2,910 for a 335-square-foot, furnished, second-floor unit. Both of these price groups have led many to question 1) if the units are actually affordable and 2) if it makes sense to pay almost $3,000/month for such minimal space. In fact, traditional city zoning dictates that a residence cannot be smaller than 400 square feet, but in 2012, former Mayor Bloomberg held a micro-dwelling design competition to see if smaller spaces could help solve the city’s housing shortage. 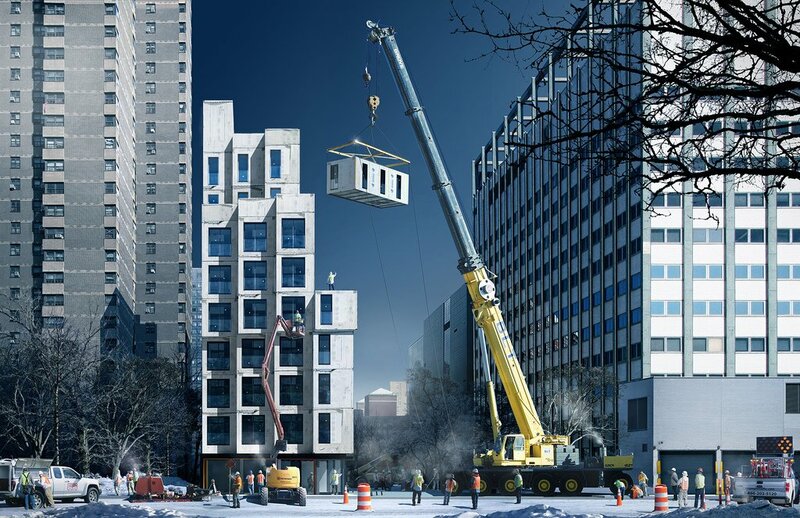 The winning design by nARCHITECTS is made of stacked modular units reaching a height of 120 feet at 335 East 27th Street on the border of Gramercy and Kips Bay. The entire project costed an estimated $17 million. A sense of community, fostered in collaboration with social concierge Magnises with opportunities for engagement and networking ranging from monthly mixers, volunteer activities, lectures, weekend getaways, travel options and even seven members-only spaces, to name a few. In total, 17 market-rate units will be furnished; of the 12 units hitting the market today, eight will be furnished. The Times says the furniture includes a Murphy bed-style sofa/bed, a desk that doubles as a ten-seat dining table, and an optional Ollie Box that offers decorative pillows, rugs, and lamps. Going unfurnished will save renters about $200/month, which over time will add up substantially. Jonathan J. Miller, president of the Miller Samuel real estate appraisal firm, compared the niche nature of Carmel Place to buying a Prius. “This is one of those things that the market will determine ultimately whether or not they’re accepted,” he said. Stay up-to-date on listings for Carmel Place on CityRealty.